HAZAAH! 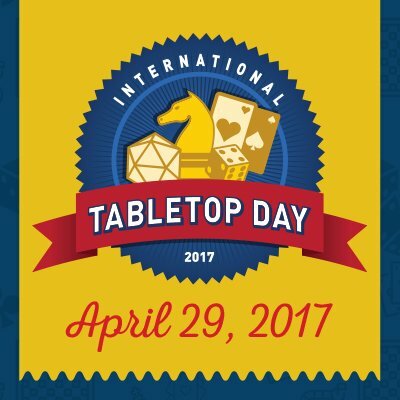 Today is officially International Tabletop Day. If you can’t find the time to sit down and and enjoy some cards, dice and cardboard with family and/or friends, then there’s no easier way to join in the celebration than to fire up a digital board game on your mobile device. Fortunately a number of great digital board games and strategy games are currently on sale. Tokaido™ is on sale (over 40% off) for the first time since launch. The base app for Galaxy Trucker as well as the expansion are just $2.99 each and there is a special “Board Games Delivery” mission available from Friday to Monday in which your cargo will be board games from CGE’s catalog and three lucky truckers will get one of the games they loaded. All of Asmodee Digital’s sales from last month still appear to be in affect. And there are many, many more, with DIGIDICED, TheCodingMonkeys and more joining in on the price dropping fun. It appears that many of these sales are good through the weekend. UPDATED Post-Tabletop Day – LOADS more digital board games are now on sale!